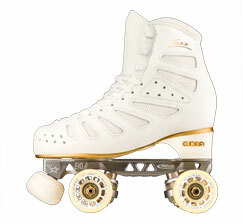 The Giotto 47D SPECIAL Professional FreeStyle Wheel provides an EXTRA amount of Grip for VERY Slippery Skating Surfaces. The Giotto is less expensive (than the Urethane counterparts), yet, very high quality wheel, which is used on many types of skating surfaces including standard wood floors coated with plastic or poly urethane, but also unusual surfaces like, tile type basketball and volleyball courts, tennis courts (Indoor or outdoor), and concrete or terrazzo surfaces that are more common around the World. The Giotto FreeStyle Wheels are used a great deal internationally, where there are few indoor skating centers like there are here in the USA. The Giotto FreeStyle wheels are most often used on abusive surfaces where the life expectancy of the wheels on these tough surfaces are not very long, but very High Skating Quality both Grip and Roll are required. 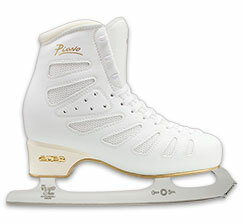 Many of the world level FreeStyle competitors use combinations of hardnesses of the Giotto to achieve the best Skating result. 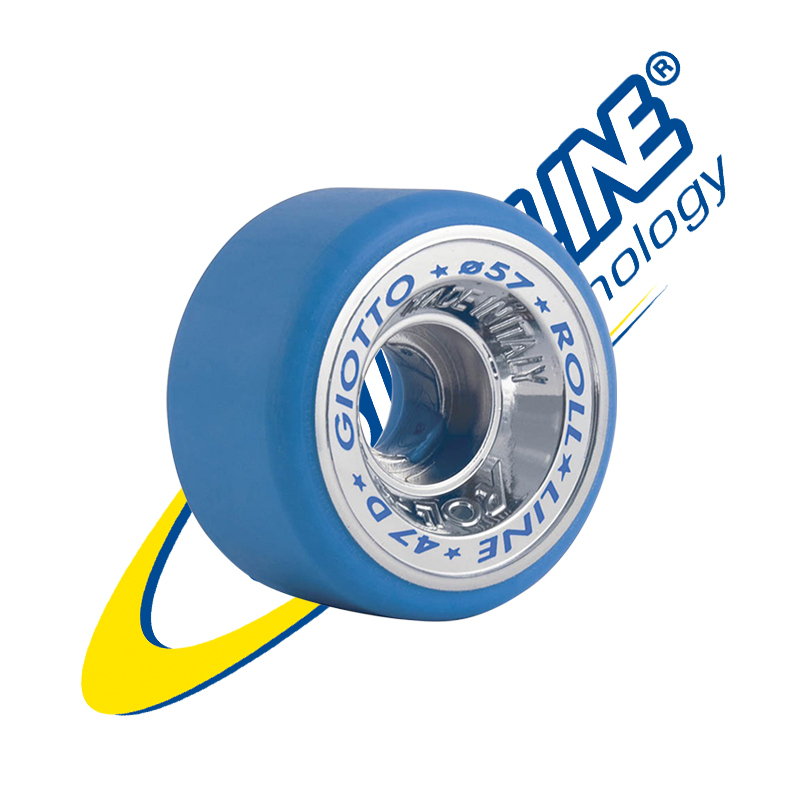 This SPECIAL Giotto 47D is also sometimes mixed with the Urethane sets of 55mm wheels to provide that extra grip for a Spin Pivot Wheel on VERY Slippery Skating Surfaces. 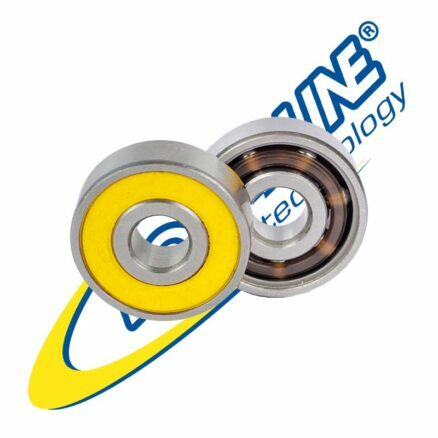 Roll-Line has developed this wheel giving it properties that withstand the extreme and unusual abuse a FreeStyle skater and an abusive Skating Surface can dish out, but will show the wear and can have flat spots put on the wheels if used on too tight of a Skating Surface. 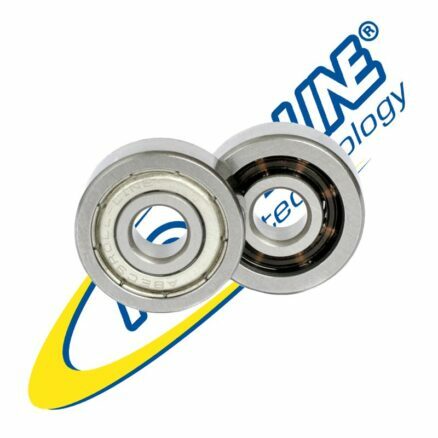 The Roll-Line Giotto SPECIAL Professional FreeStyle Wheel (47D) is a Lo- Profile, reasonably durable wheel which is Strong, Light, and with extremely Close Tolerances for Roundness, Trueness, and for the Cage where the Bearings and Spacers are mounted. The Roll-Line Giotto FreeStyle Wheels are a MonoCompound Elastomeric ThermoPlastiche wheel, which is produced utilizing an injection system and is Silver Chromed. 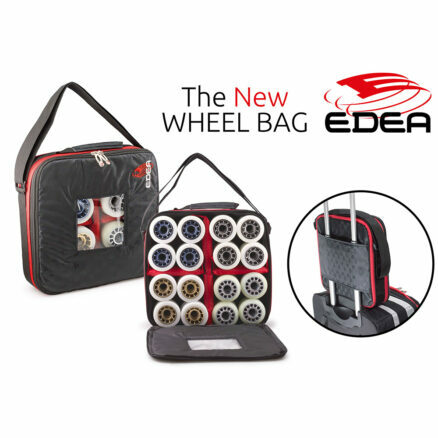 The 47D provides a very special application for very slippery Skating surfaces.